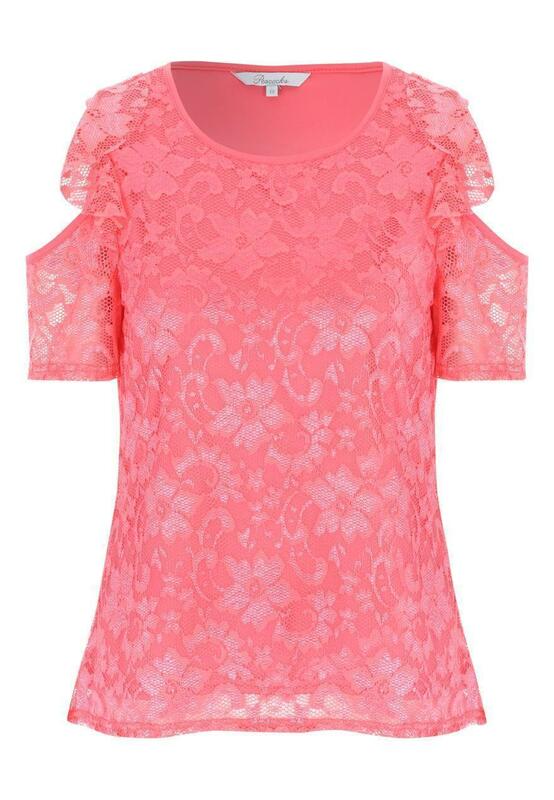 Opt for an on-trend evening look with this women's orange lace cold shoulder top. With short sleeves, featuring a frilled trim overlay on each cold shoulder detailed sleeve, and a round neck that also features a lace detail at the front. 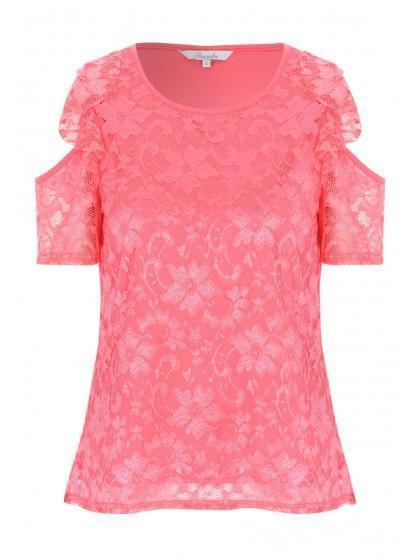 This top can be dressed up or down with ease making it suitable for all occasions. Good fit,quality really happy as some tops only have lace to front of top. Beautiful pink coral colour. Good quality.